It’s virtually impossible to enter any new relationship without hauling in some personal baggage. We all have our histories—children from a former marriage, ex-spouses, ex-partners, or ex-in-laws. Your new special someone comes with emotional luggage. We all do. 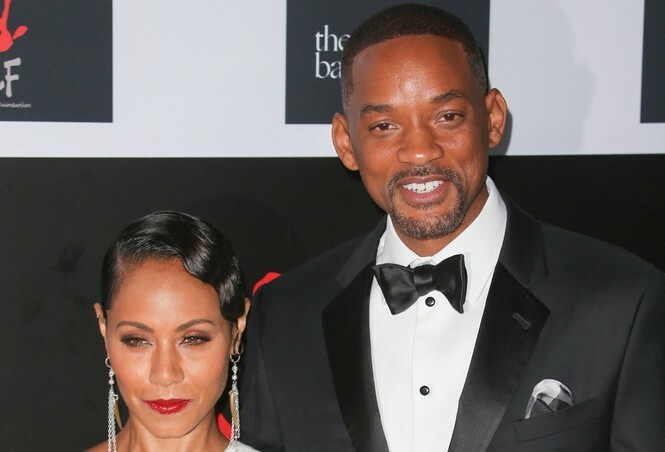 Even celebrity couples like Jada Pinkett-Smith and Will Smith have been there. So have Kate Capshaw, Steven Spielberg, Demi Moore, Bruce Willis, Catherine Zeta-Jones … the list goes on. Each of them ventured into the world of new coupledom with a hearty amount of histories on their shoulders. 1. First of all: Do you want to carry his bags? : If you peer into the future and see nothing but problematic suitcases standing between you and your partner, it’s time to figure out what you’re going to do about it. If he’s not worth the luggage, move on. But if you think he’s got what it takes, get ready. 2. Don’t view the past as a burden: If you truly care about your partner and want to make things work long-term, don’t run from the past. Welcome it. You can’t shift into the future if you’re stuck in the past. 3. Remember: You have baggage, too: Even if you don’t have an ex-spouse or children from a former relationship, you aren’t perfect. In an ideal world, we would meet our soul mates, fall in love, and live happily ever after. Life unscathed. But that’s not how it works. There’s nothing wrong with looking at someone else’s luggage—just be sure to check yours, too. 5. Don’t be afraid of kids: They aren’t that scary, I promise. Yes, I know that kids come with that aforementioned ex-spouse, which means they come with a mother, which means you have to be compete. But here’s the catch: You don’t have to compete. They already have a mom. If your partner is worthy of serious commitment, you can’t view his kids as “add-ons.” They’re essentials. One great thing about dating a dad is they understand and appreciate what it means to put others before yourself. If your catch is also a great father, that tells you volumes about his character. Donna Arp Weitzman is a wife, mother, and businesswoman who enjoys writing and a good pair of Manolo Blahniks. Donna earned her BSE and MSE in Counseling from Midwestern State University and completed the Harvard Business School OPM Management Program. Weitzman has served as a mayor and leader in local city government and continues to serve the greater Dallas community in a variety of civic and cultural roles. However, it’s the lessons she has learned in the school of life that she most wants to share with others. Cinderella Has Cellulite is Weitzman’s first book and has been adapted into a screenplay, which is currently being optioned for a major cable TV series. Her writing has previously been published as a columnist for The News and Times, Tri-Cities, and she’s recently been interviewed on Good Morning Texas and KDFW. As a frequent public speaker, she enjoys making others laugh and opening their eyes to a new perspective on some of life’s most challenging experiences.